Since rock and roll first came onto the music scene, it has provided a platform for artists to express themselves in a way that once wasn’t possible. Over the years, common themes have ranged from love, life, heartbreak, partying, and of course, rock and roll itself. Rock and roll is a genre that’s so beloved by its fans, that those who play it write ballads about their love for it. Now, take a look to see some of these great songs dedicated to the genre. 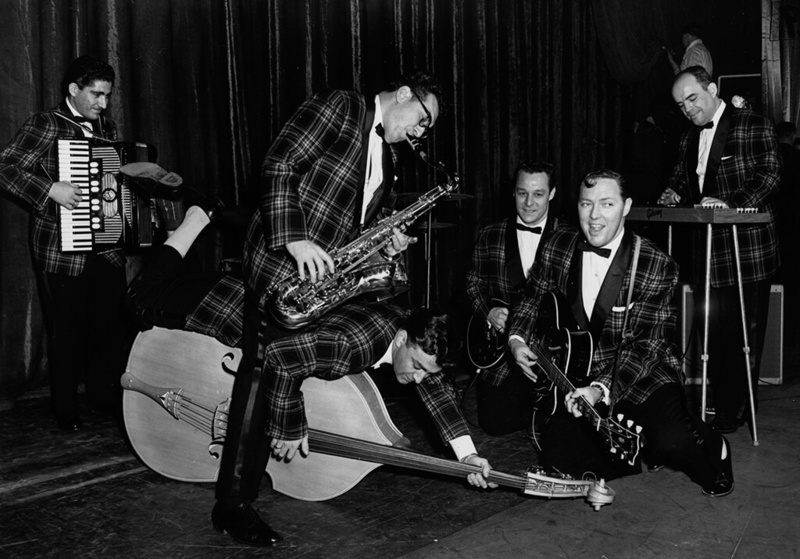 Bill Haley And His Comets: "(We’re Gonna) Rock Around The Clock"
Released in 1954, "Rock Around The Clock" is credited as one of the first songs to introduce this new style of music to the world. Although it wasn’t the first rock and roll song ever released it was the first successful song of the genre. It became the first rock and roll song to reach No. 1 in Billboard Hot 100 history after it was picked as the opening song to the MGM film Blackboard Jungle. Teenagers were going to see the film just to dance to the opening credits.